Research challenges are broad areas of climate science that are societally important, reflect the interests of the scientific community and funding agencies, and typically extend US CLIVAR beyond its traditional research agenda. Complex and cross-disciplinary in nature, these research challenges require involvement and collaboration of US CLIVAR observational, modeling, and prediction activities with research efforts of other Earth science communities. Climate exhibits variability on decadal (10-20 year) timescales, with important societal consequences from impacts on rainfall patterns to altering fishery habitats. Decadal variability is described via large-scale patterns found in the atmosphere and ocean, which oscillate at decadal timescales and are concentrated in specific regions (e.g., Pacific Decadal Oscillation, Atlantic Multidecadal Oscillation, Arctic and Antarctic Oscillations). Understanding decadal variability and predictability has proven difficult given the insufficient length of observations. 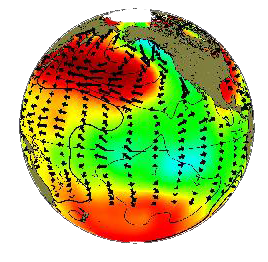 US CLIVAR is using coupled climate models to extract as much information as possible from the scarce datasets to further understand the mechanisms leading to decadal variability and the degree to which such variability can be predicted. 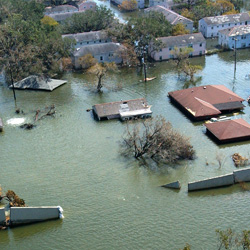 Extreme events – hurricanes, droughts, severe storms, floods, heat waves, cold snaps – can have costly and far-reaching impacts on society. The ocean impacts extremes primarily through its influence on cyclogenesis (developing low-pressure systems) and large-scale atmospheric circulation. US CLIVAR is identifying the small-scale, fast processes that underlie extremes and how they interact with the larger-scale, slower, and potentially predictable climate fluctuations linked to the ocean. These efforts aim to develop the capability of providing information on the past, current, and future evolution of extremes over seasons to years and how properties of extremes are changing in a warming climate. Climate change signals are amplified in polar regions and indicators, such as the collapse of ice shelves and melting of sea ice, have raised public awareness of the consequences of a warming world. Polar climate change can also have a profound influence at lower latitudes (e.g., sea level rise through ice sheet melting, changes in global ocean and atmospheric circulation). Despite their importance, polar regions are inadequately observed, due to logistical challenges of collecting data. This scarcity has hampered our ability to understand, model, and predict the influence of polar climate change on the overall Earth system. 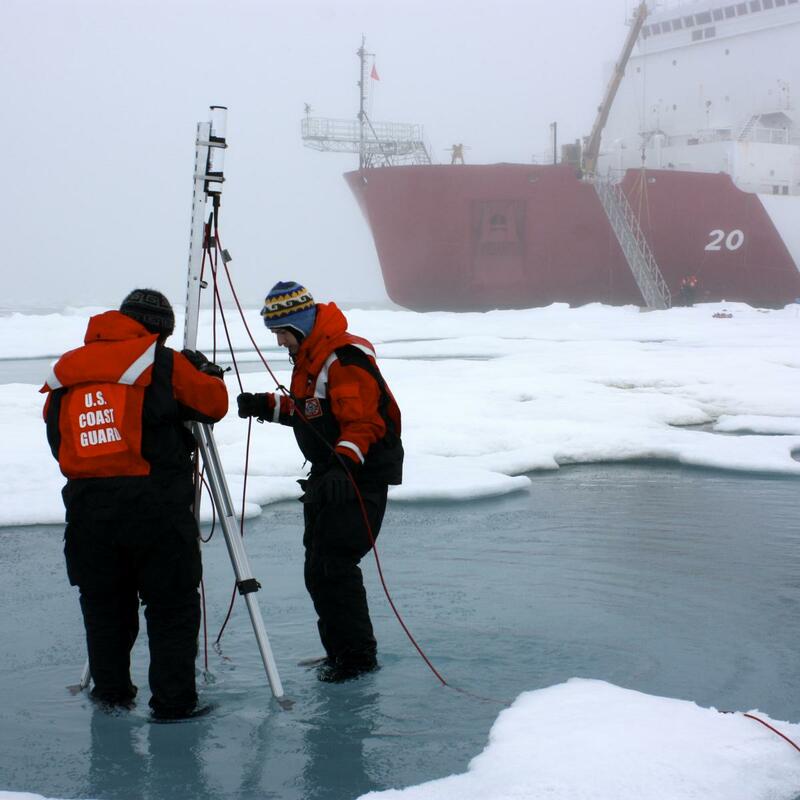 US CLIVAR is engaging the polar and cryosphere science community to jointly develop strategies to better understand and improve model performance in simulating climate in the polar regions and its global impacts. The increase of atmospheric CO2 and global warming are subject areas currently of great societal importance. The global ocean is a major sink of anthropogenic CO2 and significantly slows the amount of CO2 accumulating in the atmosphere. 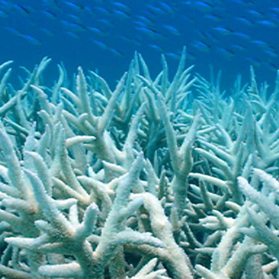 At the same time, increased warming from CO2 affects the ocean’s biogeochemistry and ecosystems in complex and uncertain ways. US CLIVAR is collaborating with the ocean carbon and biogeochemistry science community to increase observations and understanding of the coupled physical/biogeochemical processes that maintain the marine ecosystem and oceanic sources and sinks of carbon and predict how they will evolve in response to climate variability and change.